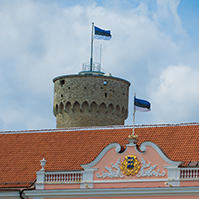 The Riigikogu approved the decision to form a committee of investigation to identify the possible corruption risks in the state owned Port of Tallinn, and to clarify whether the owner supervision of the public limited company has been sufficient. 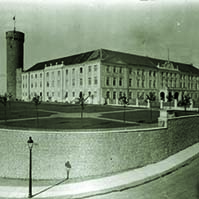 The Resolution of the Riigikogu ”Formation of the Riigikogu Committee of Investigation to Investigate the Corruption that Occurred in the Management of Port of Tallinn Ltd and the Measures Necessary to Prevent Such Incidents in the Future” (88 OE), initiated by 52 members of the Riigikogu, lists Andres Anvelt, Jaanus Karilaid, Siim Kiisler, Henn Põlluaas, Valdo Randpere and Artur Talvik as the members of the Committee. 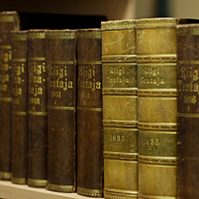 The Committee will submit its final report to the Riigikogu and the public by 1 May 2016 at the latest. Jaanus Karilaid, Ken-Marti Vaher, Martin Helme and Valdo Randpere took the floor during the debate. 91 members of the Riigikogu voted in favour of the Resolution, nobody voted against or abstained. The Riigikogu concluded the second reading of the Chemicals Bill (72 SE), initiated by the Government of the Republic. The amendments mainly concern the businesses liable to be affected by a major accident, and businesses that handle products that contain chemicals that are precursors to explosives. The Bill does not apply to private individuals directly. Most of the requirements of the Bill are already in force and the Bill does not introduce any fundamentally new requirements. 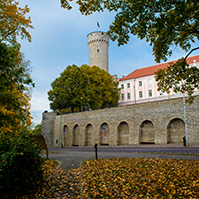 The Riigikogu did not adopt the Resolution of the Riigikogu “Making a Proposal to the Government of the Republic” (50 OE), initiated by the Free Party. The purpose of the Resolution was to propose that the government initiate a Bill on Amendments to the Insurance Activities Act, creating the necessary regulation for the activities of mutual insurance companies and ensuring the enforcement of the amendments by 1 January 2016. Jüri Adams took the floor during the debate. 36 members of the Riigikogu voted in favour of the motion, 2 were against, and 3 abstained. The Act would have required a majority vote, i.e. at least 51 votes, to pass. 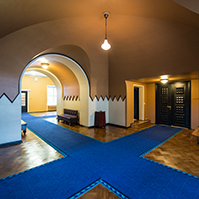 The Riigikogu did not adopt the Resolution of the Riigikogu “Making a Proposal to the Government of the Republic” (86 OE), initiated by the Centre Party. The purpose of the Resolution was to pay transitional aid to agricultural producers in 2016–2020 in the maximum amount allowed by article 37 of the Regulation No. 1307/2013 of the European Parliament and of the Council. For the Estonian farmers, paying the transitional aid from the state budget in the maximum amount allowed by the European Union would have meant an additional EUR 92 million. Külliki Kübarsepp, Mart Helme, Ivari Padar and Martin Repinski took the floor during the debate. 38 members of the Riigikogu voted in favour of the Resolution, 4 were against, and 3 abstained. The Act would have required a majority vote, i.e. at least 51 votes, to pass. The Riigikogu concluded the first reading of the Bill on Amendments to the Electronic Communications Act and the Act on Amendments to the Electronic Communications Act and the State Fees Act (51 SE), initiated by the Government of the Republic The purpose of the Bill is to improve the measures aimed at ensuring a more efficient use of landline, mobile phone and hotline numbering plans. The Bill attempts to solve a situation where the numbering plan has not been introduced or is used inefficiently, or is being exploited for running fraud schemes that involve calls with special tariffs. The Bill also extends the period for preserving log files collected on activities carried out through the central surveillance equipment of surveillance or security authorities from 5 years to 10 years. The deadline for submission of motions to amend the Bill is 5 November. 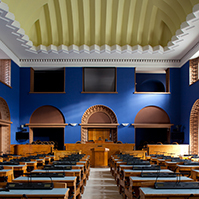 The Riigikogu rejected the Bill on Amendments to § 34 of the Local Government Council Election Act (49 SE), initiated by the Estonian Free Party Faction. The Bill provided for upper limits to be set to the length of election lists at local government elections. Since the size of local government councils varies, a proposal was made to link the upper limit to the number of seats in the council. The initiators thought a sensible limit would be double the number of mandates. Jüri Adams and Priit Toobal took the floor during the debate. The Constitutional Committee as the leading committee moved to reject the Bill. 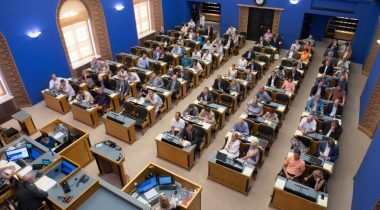 47 members of the Riigikogu voted in favour of the proposal of the Constitutional Committee, 15 were against, and 1 abstained. The Riigikogu concluded the first reading of the Bill on Amending the Hunting Act by Adding 10¹ and Amendments to Subsection 5 (1) of the Permanently Inhabited Small Islands Act (56 SE), initiated by members of the Riigikogu Mark Soosaar, Kalle Laanet, Maire Aunaste, Rein Ratas, Toomas Kivimägi, Urve Tiidus and Jevgeni Ossinovski. The purpose of the Bill is to allow small island communities to give their input into the organisation of hunting, and to harmonise the regulation with the principles of sustainable use of natural resources. The special privileges given to small island communities should improve the chances of preserving sensitive biodiversity, using natural resources responsibly, and launching community supervision mechanisms. The deadline for submission of motions to amend the Bill is 10 November.